It smelled so good coming out of the oven, like banana bread! Oooh, mango milk sounds divine...tell me more! Did you make it using the same method? Yes, I pureed mango and mixed it with milk and then put it in the freezer. I have one box with goat milk cubes and one with coconut milk cubes. Clever! It seems like this method would be good for many different fruits and veggies. Did the mango turn brown in your soap using it this way? No, not brown but a light yellow. Or it depends on the mango. If it´s orange, the soap will turn yellow but if the mango is yello the soap will be white. Papaya makes a nice orange soap. Those look awesome Cee! And what a great idea for freezing and using up bananas. I know we usually have one or two that don't last out of every bunch we buy. This soap looks so beautiful! 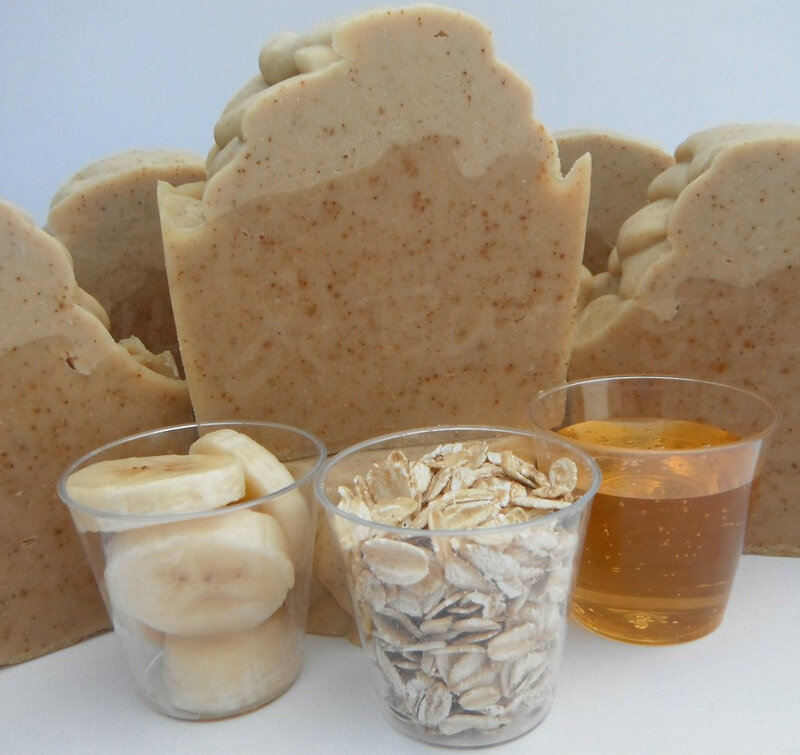 Oatmeal and honey are also my favorite ingredients but it seems that banana gives additional quality to the soap. Your soapmaking instructions are really grate! Thanks Cee for your tips! Your soaps look so delicious and ready to eat! I have never tried banana in soap( OMG, still so many things to try) ! Mmmm...I love bananas in soap, both how it feels and how it looks. And yours looks beautiful--love the two toned look. Great soap again,Cee! I've been thinking for a while about making it,but still haven't up my mind which one to go first with: yogurt or banana soap. I'm afraid if I make one soap with these both, I will never know what benefits each brings! What a sweet dilemma! I love specks in your soap,now I want even more to give it a try! Looks so luxurious and rich! Thanks Maja! I think you are very wise to just try one ingredient at a time so that you can see what unique benefit each individual ingredient adds to the soap. It's so hard to do that though when there are so many things you want to try! 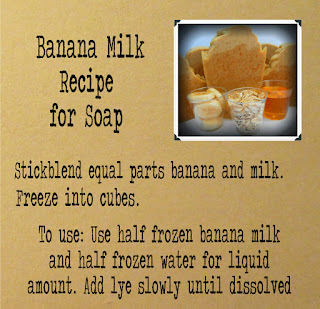 I never thought about, adding banana milk in a soap. What a perfect idea! Banana is very good for a soft and smooth skin!!! Your soap looks gorgeous, Cee Gee! 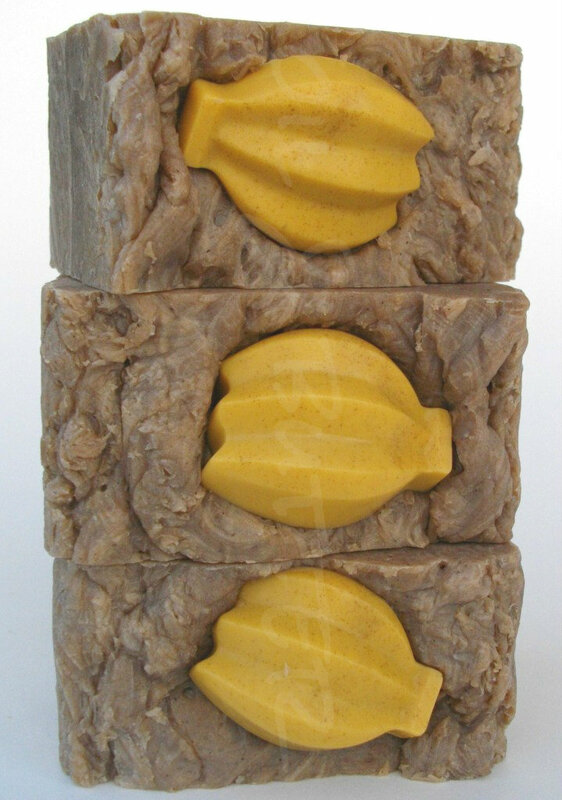 I've never tried banana in soap, but it sounds wonderful. And I adore honey. I love how the oatmeal flecks look in your soap! I wish I could try one of those, they look so yummy! Wow Cee Gee you are SO creative with your soaps, so glad I found your blog! I love it. Such inspiration for a new soaper like me! I've been wanting to try banana in my soap and am now energized to do so! So appreciative of your time and labor in this blog, such a help and so fun to read! Aw, Anna, that is so sweet of you to say, thank you! I’m still just learning and plodding along myself…just like you :) I appreciate being able to share my journey, this blog just wouldn’t be the same without everyone’s valuable input, so thanks to you too for joining in! Thank you Roxana! 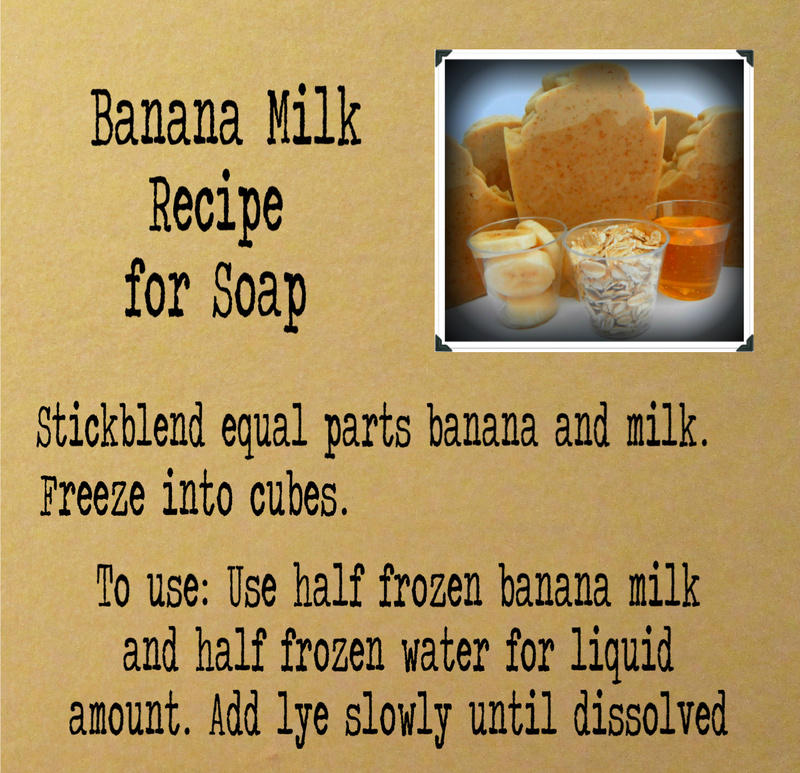 The banana milk adds a nice quality to the soap, hope you get to try it soon! I'm going to try this soon using soy milk. Can't wait it looks so luxurious. Need to run to Costco first tho because I'm out of olive oil. While this sounds like fun to try, does it have any benefit to the soap? I do notice that the natural sugars in bananas and milk certainly help boost the sudsing power and creamy quality of the bar.